Will be showing in the "Prodigal" Art Sale & Exhibition in Little Rock, Sept. 27 - Oct. 10, 2008. 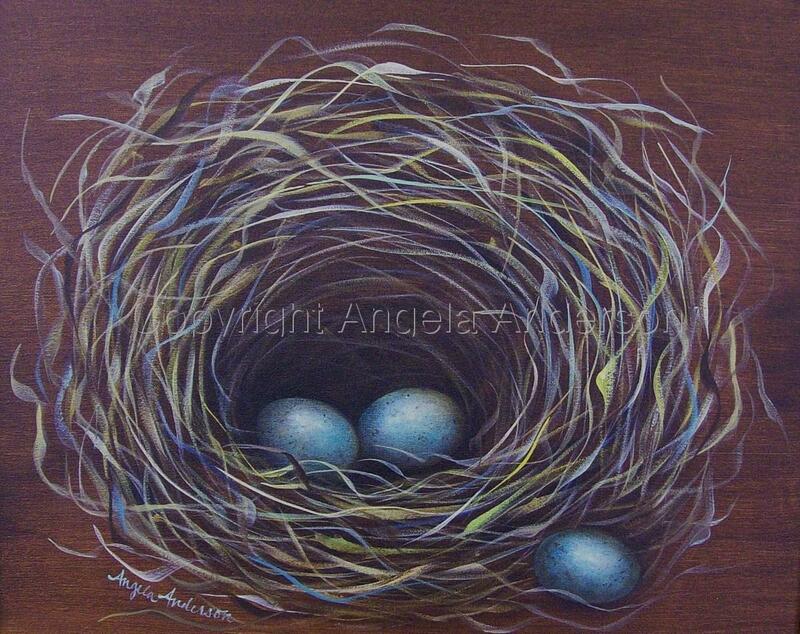 Blue eggs in a dark brown nest swirling with colors. Framed in a golden brown crackled wood framed.